Some of the best fishing can be found outside the confines of a harbour. But crossing any harbour or river bar – whether it’s at the Kaipara, Bowentown, Mana or Greymouth – can be a dangerous experience. Many experienced boaties have got into difficulty crossing a bar and each year, boats are damaged and people are killed or injured when attempts to navigate bar crossings go wrong. A bar is an underwater build-up of silt, sand and mud at the entrance to a harbour or river, formed by silt carried downriver or by wave action. As the open water becomes shallow, waves can become steep and dramatically increase in height. Add to this an outgoing tide, and you’ve got waves breaking in an unpredictable and treacherous pattern. Trying to cross this in any boat can be extremely dangerous – in fact, some of NZ’s worst maritime disasters have occurred when vessels have been swamped going or coming back over a bar. Even container ships aren't immune from the power of the waves over bars. Your local Coastguard unit, fishing or boating club will know what the best approach might be and will usually know of any quirks you need to be aware of. It’s best if you can head out with an experienced local on a calm day too, to get a feel for it. They’re free and give you a good overview of what to check before you head out. Combined with local area knowledge, it's a no-brainer to check this out before you head over a bar. These are only available in the Coastguard Northern Region at present, check out our facebook page for the next seminar. Coastguard Boating Education runs theory and practical Bar Crossing courses, covering everything from visual observations and safety precautions to strategy and what to do if it all goes wrong. Make sure your boat is up for the crossing. Pay attention to the engines, the hull and the communication equipment. Practise some tight turns in calm water to make sure the steering is responsive. The requirements for each bar around the country are different, so talk to your local Coastguard unit or local boaties to find out what they recommend. 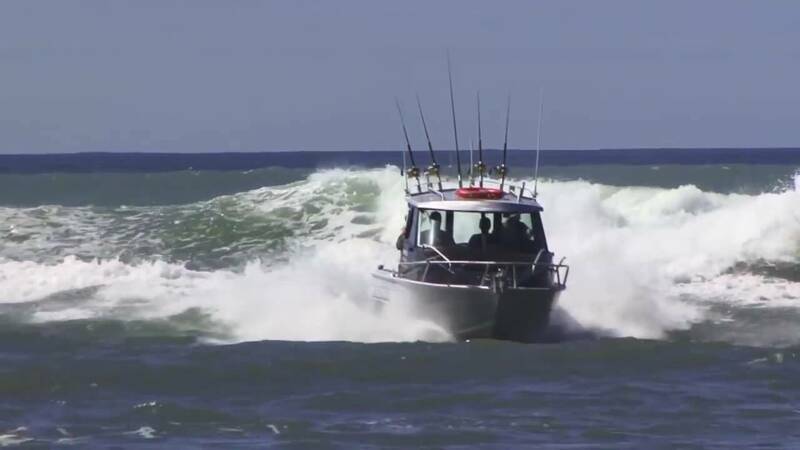 For example, for the Manukau bar your vessel will need to be able to make at least 20knots without struggling to keep up with waves, and we don’t recommend any vessel under 5.5m in length attempts a bar crossing. For the Kaipara bar your boat needs to be minimum five metres in length with a 90 horse power outboard. Plan your trip to ensure tides and weather are suitable for both the outbound and inbound trip. Watch what the bar is doing and read the waves. If it looks a bit rough, stop! Don’t cross it and instead stay in the harbour. If you are heading in you could wait for conditions to improve by trying to cross at high tide when the tidal flow is at the lowest and there’s more water over the bar. Or talk to Coastguard about your options. Proceeding because you feel you need to get home is a recipe for disaster. Close all hatches and stow any loose equipment. You don’t need an anchor bouncing around as you concentrate on crossing! Everyone should stay in the centre of the boat to help with stability; keep one person looking out for trailing waves that could swamp the back of the boat. If something goes wrong, you won’t have time to put a lifejacket on. Everyone should be wearing lifejackets (not just having them nearby). Make a Bar Crossing Report with Coastguard. Call in on your local VHF radio channel, or dial *500 from your cellphone. Let Coastguard know where and when you’re crossing; they’ll put you on a watch, so if you don’t close your report within 15-30 minutes we’ll launch a search. Waterproof handhelds and PLB’s should be carried by a crew member for easy access if something goes wrong. If you’re using a EPRIB it’s a good idea to have it out of it’s bracket and in a grab bag being held by a crew member. Going out over the bar should be done slowly and cautiously. Pick up the rhythm of the waves, and look for a good opening. Once you spot a good opening, commit! This is important – once you’ve committed to crossing, you have little choice but to continue. It can be dangerous to try to turn back, as you might get swamped. Keep the bow of your boat pointing directly into the waves, with the bow trimmed up. Throttle back as you crest the wave (so you don’t get too much air on the other side), then get ready for the next set. Assign a crew member to watch your rear, in case a wave starts to catch up. If a wave rears up unexpectedly behind you, don’t panic – pick up the pace a little to keep ahead of it. As soon as you’re over the bar, don't forget to close your Bar Crossing Report with Coastguard.